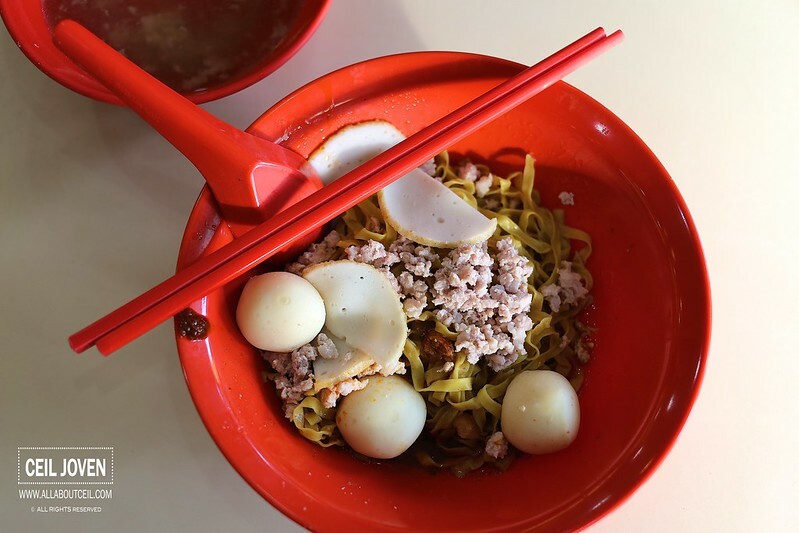 ALL ABOUT CEIL: Lai Heng Mushroom Minced Meat Noodle : What is Good? 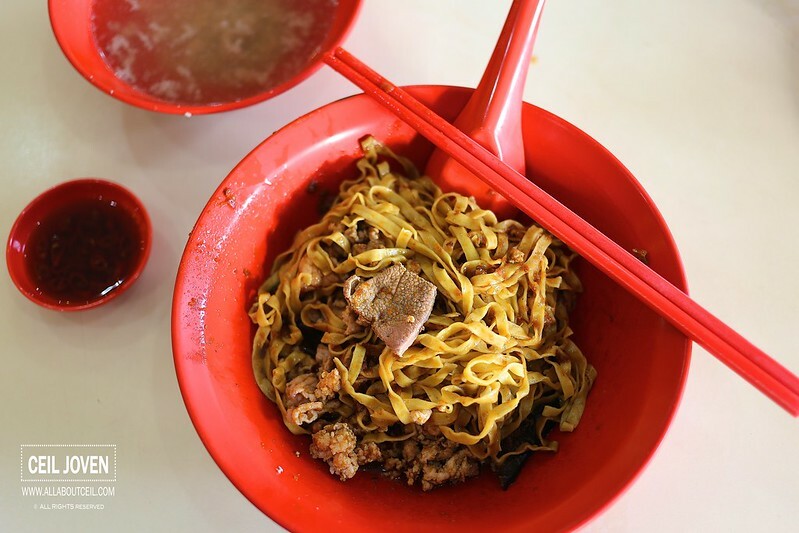 Lai Heng Mushroom Minced Meat Noodle : What is Good? This stall has been featured in one of the recent episodes of 'Makan Lost & Found' thus i expected them to be of certain standard. This stall is solely operated by an elderly Uncle. I remember it was the same Uncle that appeared in the TV show. I went with Mushroom Minced Meat Noodle ($3.30) and Fishball Noodle ($3.30). As i was the only customer then for an early dinner, the waiting time was a short one. I requested for an extra amount of chilli to be added to Mushroom Minced Meat Noodle, the level of spiciness was still rather mild but a little oily. 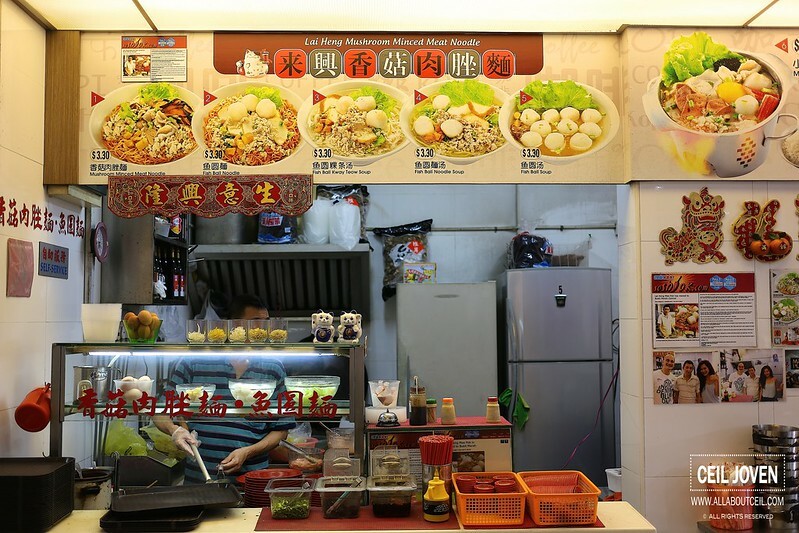 A substantial portion of mee pok was served along with minced meat, slices of lean meat and liver with braised mushroom. The liver was in thick and big pieces and cooked pretty nicely to give it a just right texture with a desired softness, just exactly how i liked it. For that alone, i am likely to eat it again if i happen to be in the vicinity. The Fishball Noodle tasted quite ordinary. 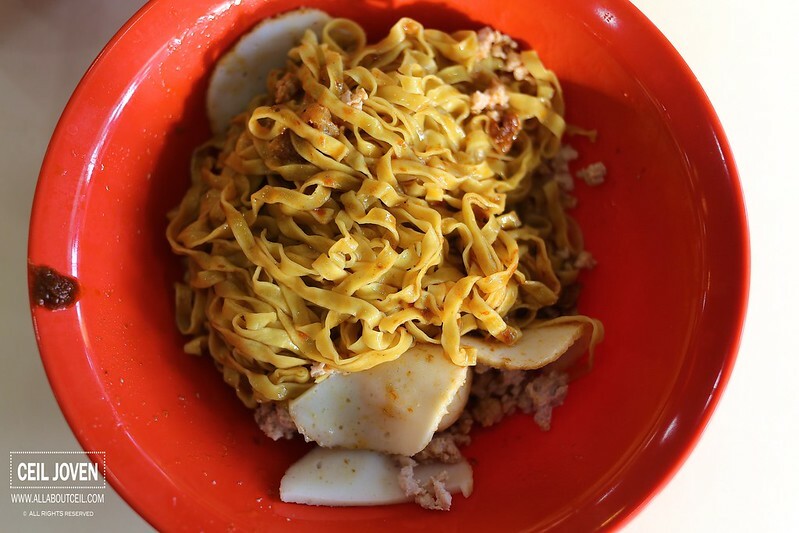 A same equally good portion of mee pok served with minced meat, slices of fishcake and a few pieces of fishball. Seemingly, the fishcake and fishball did not taste like handmade as it has little elasticity. If i have to choose between both, i would think that the Mushroom Minced Meat Noodle is of a better choice and value.